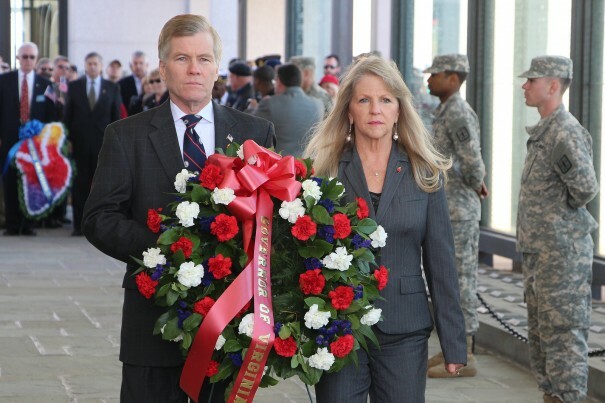 Former Virginia Governor Bob McDonnell (R) and his wife, Maureen, were found guilty by a federal jury Thursday on a combined 14 counts of conspiracy, fraud, influence-peddling, bribery, and extortion. Both had pleaded not guilty to all of their charges. Governor McDonnell was convicted on 11 counts and Maureen was convicted on nine. Both face time in prison, and former Governor McDonnell – once a speculated presidential or vice-presidential candidate – has lost his political standing. The case revolved around the relationship between Governor McDonnell, First Lady Maureen, and Jonnie R. Williams, Sr. Williams, the former Chief Executive Officer of Star Scientific, a publicly traded company that produced and marketed two anatabine-based dietary supplements, utilized a relationship with the McDonnells dating back to December 2009 to his entrepreneurial advantage while showering them with expensive gifts. Although accepting gifts is not forbidden for elected officials under Virginia law, prosecutors successfully argued that the gifts were part of a corrupt bargain between Williams and the McDonnells. Throughout McDonnell’s tenure as Governor, Williams presented the couple with opportunities to vacation on his properties, utilize his membership at a golf club and charge purchases there to his personal tab, and travel in his private airplanes and luxury vehicles. He also purchased high-end gifts for both the Governor and his wife, including Oscar de la Renta clothing, Louis Vuitton accessories, sporting goods, artwork, iPhones, and Rebecca Minkoff shoes, and gifted them with cash and checks valued at a sum of more than $140,000 to cover their burgeoning debt as well as familial affairs like their daughter’s wedding. Upon conviction, the pair was oredered to forfeit any property they obtained through these interactions. In exchange for his financial support and generous gifts, the couple helped Williams push the development of Anatabloc, an anti-inflammatory supplement manufactured by Williams’ Star Scientific. (The supplement has since been withdrawn from the market due to a Food and Drug Administration warning.) In a 43-page indictment, it is detailed that the Governor and his wife spoke at promotional events for the supplement and even went as far as to push state officials to support research on anatabine, involving government employees and state colleges and universities. They gave Star Scientific permission to use the Governor’s imagery in social media marketing, granted Williams access to the Virginia Secretary of Health and leading healthcare practitioners in the state, pushed the state’s Tobacco Commission to fund research projects at the University of Virginia and Virginia Commonwealth University, personally endorsed the product in their independent social interactions, and hosted a launch party for the supplement in the Governor’s mansion. The couple also invested in the company’s stock, although they failed to report the shares annually and tried time and again to transfer them to blind trusts in order to avoid association. Throughout their interactions with Williams, both Bob and Maureen McDonnell verbally acknowledged that they would help Star Scientific. “The governor says it’s okay for me to help you,” Williams testified Maureen telling him in 2011, “but I need you to help me with this financial situation.” Williams also assisted them in devising plans to hide their financial involvement in Star Scientific from the general public. In March of 2013, a former chef in the Governor’s mansion told authorities that Williams had paid $15,000 in wedding catering for one of the McDonnell’s daughters. That information led to an initial probe that revealed two years of ethical missteps by the Governor and his wife. The jury heard from 67 witnesses in the case, some of whom were former aides to the Governor and his wife who had warned them that their relationship with Williams was inappropriate and testified that they had attempted to stop the pair from accepting his support and gifts. Both lawyers for Governor McDonnell and his wife have indicated plans to appeal the ruling. Sentencing is set for January 6, 2015. While in office, McDonnell and then-Attorney General Ken Cuccinelli wreaked havoc on Virginia women. Governor McDonnell supported a bill that would have required women seeking abortion to undergo an unnecessary and invasive transvaginal ultrasound. When that attempt failed, McDonnell signed into law, in March 2012, a widely opposed bill mandating that women undergo an external ultrasound 24 hours before an abortion. In September of the same year, Cuccinelli approved regulations by the Virginia Board of Health that forced existing abortion clinics to meet the same building codes as new hospitals, threatening clinics with closure across the state and making Virginia’s regulations on abortion providers some of the strictest in the nation. McDonnell appointed anti-choice obstetrician Dr. John W. Seed to the Virginia Board of Health that July; in October, Virginia Health Commissioner Dr. Karen Remley resigned from her post in protest of the state’s new TRAP (Targeted Regulation of Abortion Provider) laws. McDonnell also limited the amount of hours an hourly employee of the state could work in a week in order to avoid paying for healthcare under the requirements of the Affordable Care Act. The Feminist Newswire has provided a daily feminist perspective on national, global, and campus news stories since 1995. You can receive a weekly feminist news digest when you subscribe here.